There are some recipes that you get satisfied by getting them done just "well". And there are others that you have to get absolutely perfect. 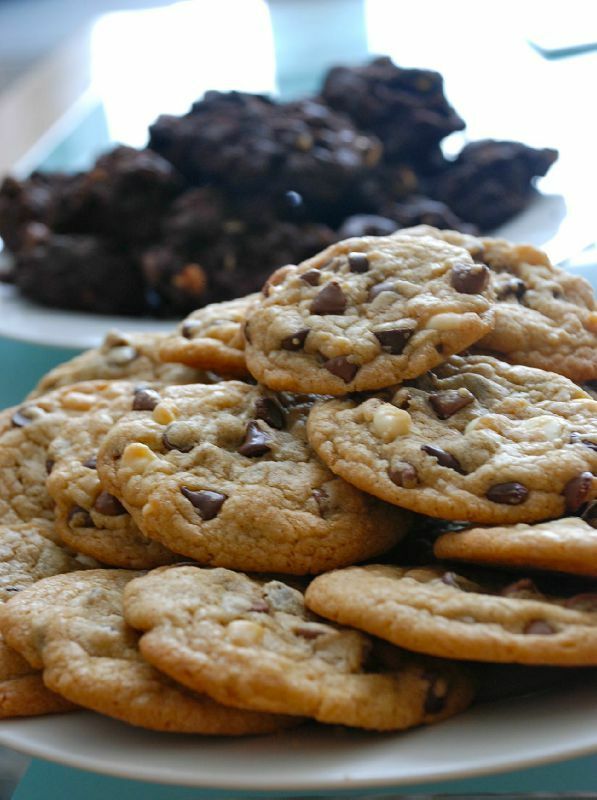 I think that classic chocolate chip cookies are one of those things. 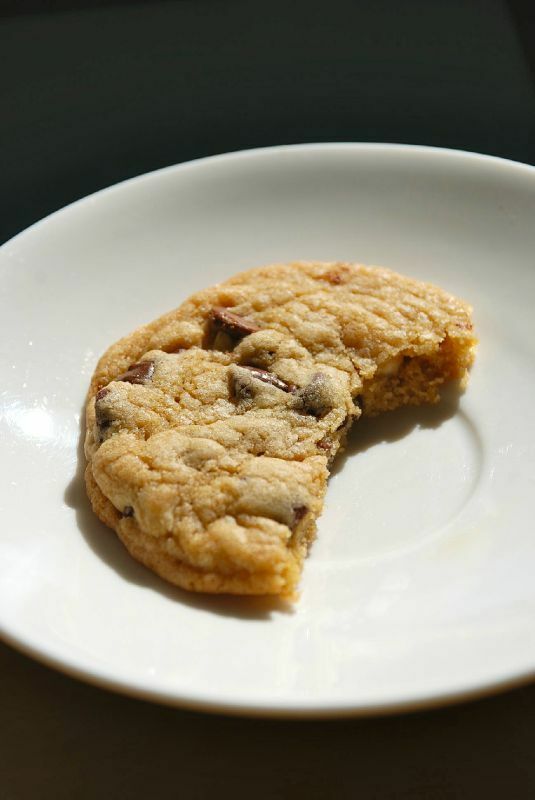 "The" perfect cookie recipe is an eternal quest, and it takes time to find the holy grail. I don't know anyone who loves to cook that haven't tried tons of chocolate chip cookies recipes. The best cookies I had so far were from Levain Bakery in NYC. They are huge and really thick, crunchy outside and chewy inside, absolutely delicious! I've tried different copycat recipes, here, here and here but I've never managed to bake such thick cookies without either burning the outside or undercooked the inside. 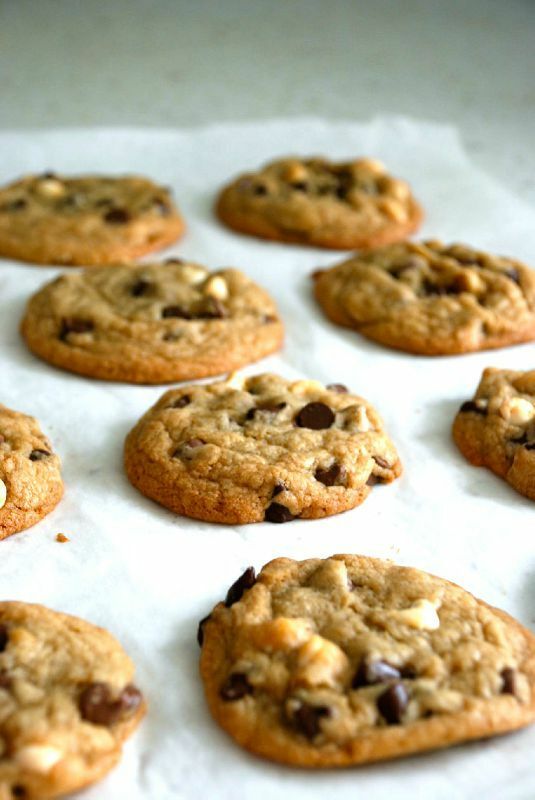 But what I know how to do perfectly are "normal size" delicious crispy and chewy chocolate chip cookies. I've never failed with this one. For those who know, they taste like the ones from Laura Todd in Paris. I've used dark, milk and white chocolate chips but you can definitely put whatever chips you like. And like every cookies, make sure not to overbake them. They should still be a little soft when you take them out of the oven. Add in the vanilla, egg, and egg yolk and beat until light and creamy. Mix in the sifted ingredients until just blended. Stir in the chocolate chips. Drop cookie dough on a baking sheet. Cookies should be about 3 inches apart. Bake for 13 minutes & let them cool. Thank you for posting this recipe - I will be trying them. 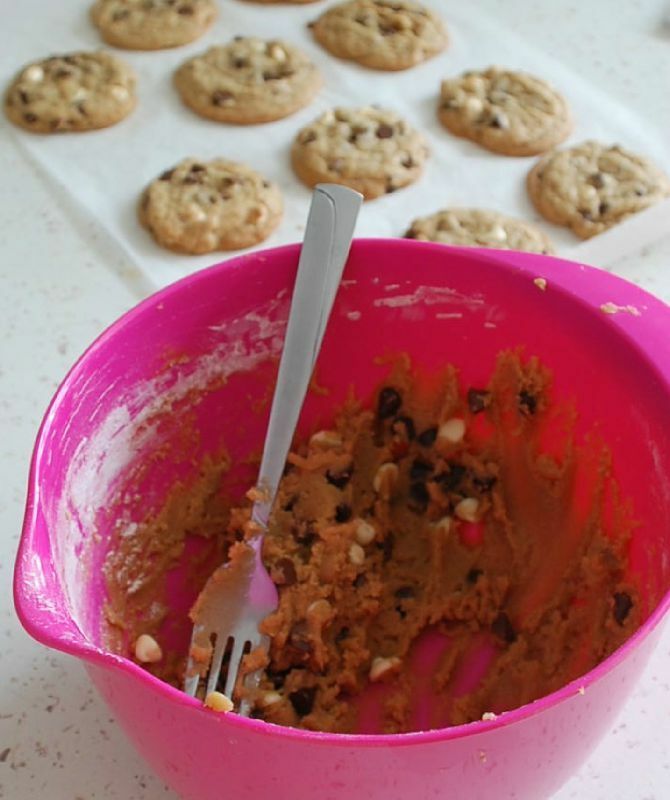 Another blogger had mentioned these cookies - and I've been on the lookout!